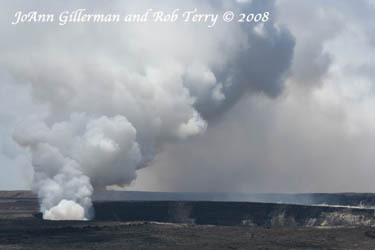 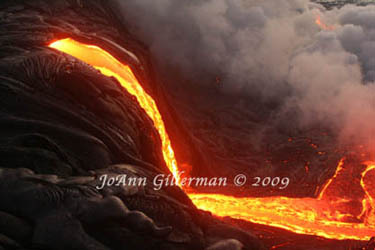 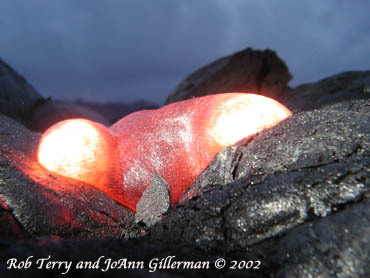 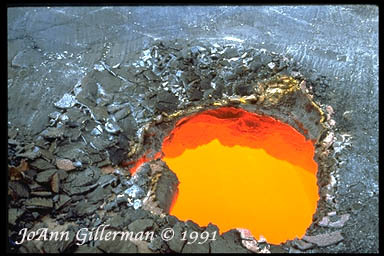 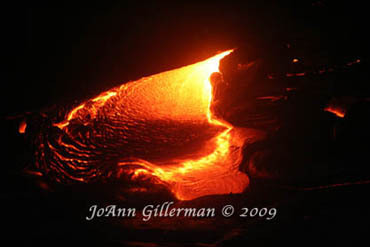 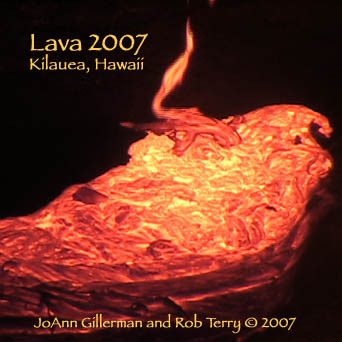 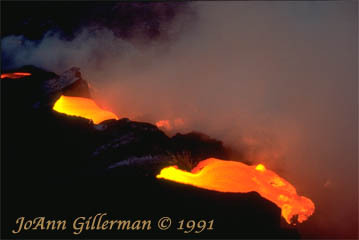 These Photographs and Video/DVD, produced by JoAnn Gillerman and Rob Terry (© Viper Vertex) have been shot on location of active lava flows on the Volcano Kilauea in Hawaii from 1991-2008. 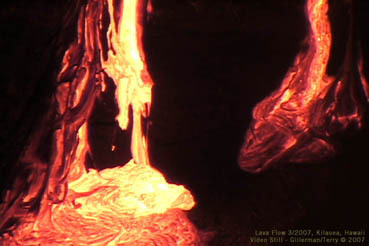 Viper Vertex has an extensive archive of lava imagery from this volcano and others around the world. 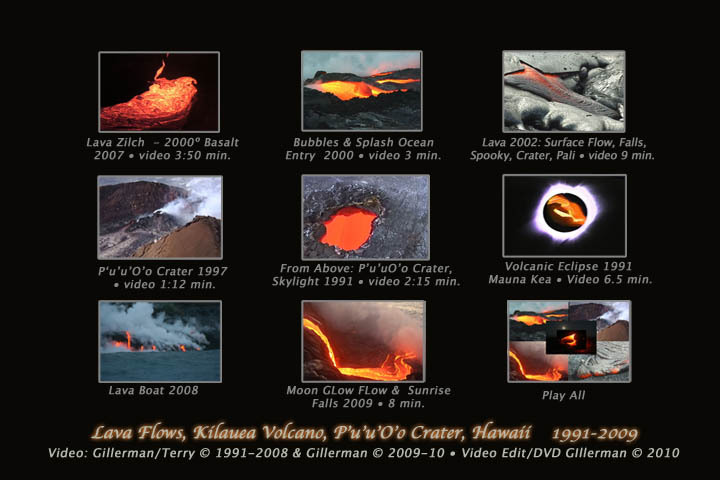 Works include many photographic images digital and 35 mm, over 20 hours of video and DVD, interactive DVD, sculpture, interactive installations and exhibits.